Larry Hester is the 7th person in the U.S. to have a bionic eye implanted. For decades, Larry Hester adjusted to life without vision after retinitis pigmentosa caused the photoreceptor cells in his eyes to gradually die off. But this week, Hester’s sight was partially restored following surgery that transformed his eye into a bionic eye. He’s now the seventh person to undergo this FDA-approved procedure. 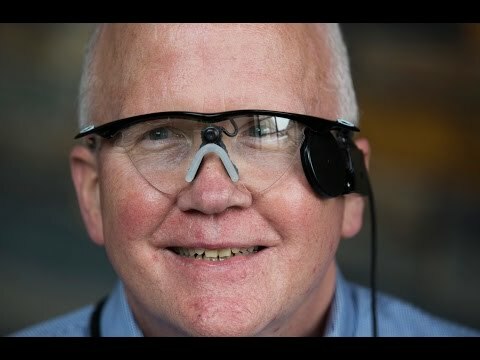 The device Hester uses to see is called the Argus II Retinal Prosthesis system, which the FDA approved for use in patients with advanced retinitis pigmentosa last year. The disease affects about 100,000 people in the United States, and roughly 10,000 individuals’ vision has deteriorated to a level that makes them eligible for the procedure. The device uses a camera that’s mounted on a pair of Rec-Spec-like glasses, which feeds visual data to a processor clipped on a belt. The processor converts visual data into a signal that’s wirelessly beamed to electrodes embedded in the eye. The electrodes bypass damaged retinal cells and activate healthy photoreceptor cells in the eye, which finally send visual feedback along the optical nerve and into the brain. The device isn’t meant to restore 20/20 vision. Rather, wearers can interpret the intensity of light, and see shapes like curbs and crosswalk lines. The operation, including rehabilitation, costs roughly $200,000. 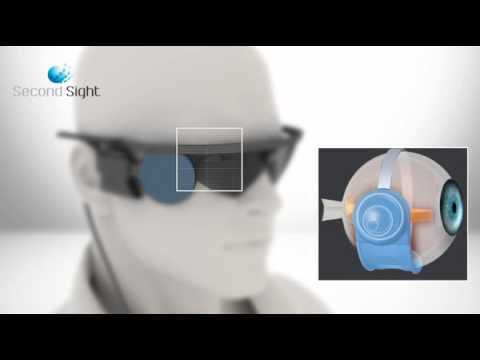 The bionic eye is just one of several ways technology is augmenting our senses. In February, scientists announced they had built a prosthetic hand that restored the sense of touch to its wearer. New gadgets are also allowing people to “see” with their ears, hands and tongue through sensory substitution. Gene therapy is also increasing the effectiveness of cochlear implants for the deaf. Taken together, these efforts are proof that the “bionic human” is no longer a thing of the future. Rather, scientists are now asking, how can we make the bionic person better?